On March 5th the Boxing world focused its attention on two important Heavyweight fights that impacted not only the rankings in the Heavyweight division as it relates to the World Boxing Association (WBA), but more specifically the recently announced tournament format by the organization that will theoretically put an end to the use of interim/regular champion designations below the recognized WBA world champion. What made these two bouts particularly interesting was that it involved two fighters who were designated as having interim/regular champion status, or to be more specific the top two contenders in the WBA Heavyweight ratings. The first of the two bouts took place at the Colosseum Sport Hall in Grozny, Russia where former WBA Heavyweight world champion Ruslan Chagaev put his designation on the line against undefeated top contender Lucas Browne. The story of this fight for much of the first half was Browne’s ability to work consistently off his jab, mix in combinations, and use lateral movement to dictate how the fight was fought. Although many rounds in the first half of the bout were fought at a tactical pace where it was not easy to determine which fighter had an edge over the other, it was clear that Browne was the fighter who was controlling how the combat was taking place and that is what gave him the edge in the eyes of this observer. In round six however, Chagaev would almost bring a sudden end to the fight. First, the former world champion cut his opponent over the left eye and then dropped Browne later in the round with a flush overhand left. Even though Browne was clearly hurt and appeared as though he may have been in danger of being stopped, the Australian-based contender showed his mettle by surviving the round and the fight continued. The two fighters engaged in a toe to toe war in the seventh round. Although Browne looked to be out on his feet at the end of round six, he did not respond in a defensive manner in the seventh round and was more than willing to exchange punch for punch with Chagaev. After the fierce battle that developed in round seven, rounds eight and nine largely resembled the way the first half of the fight was fought. Browne Boxing on the outside behind a consistent jab, mixing in combinations, using lateral movement, and only allowing Chagaev to get his punches off sporadically. Even though Chagaev nearly brought an end to matters in round six, it would be Browne who would bring the fight to its conclusion in round ten. A flush right hand would send the former world champion Chagaev down to the canvas late in the round. Although Chagaev was able to beat the count, Browne would respond by pummeling the defenseless former world champion along the ropes before the fight was stopped. Lucas Browne essentially answered questions that are commonly asked of undefeated prospects/contenders who are known as “Knockout Artists.” He not only showed the ability to box effectively and execute an effective tactical fight plan, but he also showed the ability to get up from the knockdown, survive circumstances where fights have been stopped, and respond by turning the tables on his opponent to get a knockout win. Although the victory over Chagaev was simply the first step for Browne, who scored his twenty-fourth professional victory and his twenty-first knockout, it was a star making performance that immediately established him as a player in the division and one might argue off of his performance against Chagaev that he could be a favorite to go all the way to the finals of this would be tournament concept should it fully run its course. Next up for Browne will be a fight against longtime Heavyweight contender Fres Oquendo at a date to be determined. Although the forty-two year old Oquendo will likely be viewed as an underdog not only against Browne, but in this would be tournament concept, he has faced many of the top contenders and world champions in the Heavyweight division of the last decade and no doubt has significant experience in his favor. It will be interesting to see how Oquendo will attempt to combat Browne if and when a bout between the two takes place. The second Heavyweight encounter that took place on March 5th was a battle between undefeated knockout artist Luis Ortiz and longtime Heavyweight contender Tony Thompson, which took place at the DC Armory in Washington, D.C. 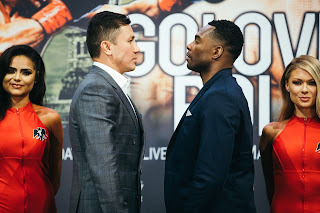 Unlike the battle between Chagaev and Browne, which had immediate ramifications on the WBA’s tournament concept, Ortiz, the second fighter designated as having interim/regular champion status in the WBA’s Heavyweight ratings did not have that designation at stake when he faced Thompson. Readers may recall in previewing this fight last week this observer stated that although Ortiz’ designation as having interim/regular champion status would not be at stake theoretically in this fight against Thompson, that I believed if Thompson were able to win the fight that the WBA would likely remove Ortiz’ designation, despite not officially sanctioning the bout. Despite a significant experience edge against top competition as compared to Ortiz, Thompson entered into this fight having lost three of his last five fights and appeared to be on the decline. This observer stated that it was logical to assume that Thompson would have to weather some of Ortiz’ power and that once it happened I believed we would find out how much the forty-four year old battle tested veteran Thompson had left to give as a fighter. It became clear almost from the outset that Thompson’s best days were behind him. Ortiz would drop Thompson with a flush left hand midway through the first round. Although it was not the first punch Ortiz landed in the fight, the fact that he was able to knock Thompson down with the first punch he was able to land cleanly was troubling in the eyes of this observer. Thompson was able to beat the count, but fought this fight largely on the defensive and did not offer much in the way of resistance. Ortiz would score a second knockdown of Thompson as a result of another left hand at the end of round three. As was the case in the first round, Thompson was able to get up off the canvas, but the sporadic offense that he was able to put forth in this fight simply did not discourage Ortiz was coming forward nor was Thompson’s offense able to turn the momentum in his favor. The largely one-sided bout would come to an end in round six when Ortiz would score a third and final knockdown of Thompson with yet another left hand that sent the always “Game” Thompson down for the count. Simply put Luis Ortiz did what he had to do against an opponent who could not offer much resistance. Although some may argue that the single punch knockdowns that ultimately led to Thompson’s downfall in this fight were an example of just how hard Luis Ortiz hits, this observer was concerned for Thompson’s well-being as I watched this fight. In previewing this fight, I stated that one has to wonder if Tony Thompson’s age as well as the wear and tear of a long career would be a factor in the fight. Even though there is no dispute that Luis Ortiz is among the Heavyweight division’s feared power punchers, it appeared at least in this observer’s eyes that perhaps Thompson simply could not absorb the type punishment that Ortiz was throwing at him as he was able to against power punching Heavyweights earlier in his career. After forty-seven professional fights and losing four of his last six bouts, this could be the end of the road for one of the division’s cornerstones of the last several years. Tony Thompson has always given everything he has each time he has stepped in the ring and if this is the end for him as a fighter he has nothing to be ashamed of after having a fine career. As for Luis Ortiz his position as one of two fighters holding interim/regular champion status in the WBA’s Heavyweight ratings remains secure. As for where things stand for this tournament concept after these two Heavyweight bouts, in addition to Lucas Browne meeting Fres Oquendo in the future, Luis Ortiz will face top contender Alexander Ustinov in his first official fight in the tournament and a rematch between unified WBO/WBA/IBO Heavyweight world champion Tyson Fury and longtime former champion Wladimir Klitschko will round out the would be first round of this tournament concept. The winners of Fury-Klitschko II and Ortiz-Ustinov will square off in the semi-finals with that winner to face the winner of Browne-Oquendo in the finals tentatively scheduled to take place between December of this year or January 2017. Although it would be nice to see this tournament concept run its course and finally see an end to interim/regular championship status designations and for the concept to be adapted throughout the entire sport, the important thing one should keep in mind is that the politics that be in the sport will always play a factor in one facet or another and one cannot rule out the possibility of circumstances emerging that could change the landscape of this tournament concept as has been the case in previous tournament concepts in Professional Boxing over the years. For now, although some may choose to be skeptical as to whether or not this tournament concept will fully run its course, this observer chooses to remain optimistic and hopeful that the end result will not just be the end of a policy of interim/regular championship status that although well-intended has created more problems than solutions, but hopeful that what ultimately comes out of this concept will be something that will have long-term benefits for not only the Heavyweight division, but the entire sport if it is successful. We simply must wait for what is next in store for the WBA Heavyweight tournament concept. This observer is looking forward to it. Is Ward Ready For Kovalev?